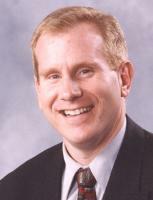 Brad Townsend (’84 B.S., ’91 D.Ed.) has been appointed Director of Bands at the University of Pittsburgh. His job responsibilities will include directing the Varsity Marching Band, conducting the Symphonic Band, and leading the pep bands at athletic events. Prior to his appointment at Pitt, Brad served as Director of Athletic Bands at Oregon State University for 11 years. He directed the OSU Marching Band, basketball pep bands, Rhythm and Beavs Pep Band, and taught courses in music education. A native of Somerset, Pennsylvania, he holds a master’s degree from the University of Illinois at Urbana-Champaign in addition to his degrees from Penn State. Before beginning his tenure at Oregon State, he served on the faculties of Temple University (PA), Murray State University (KY), and high schools in New Jersey and Pennsylvania. Brad has directed the Pennsylvania Lions Club All-State Band and served as an associate editor of the Bulletin of the Council for Research in Music Education at the University of Illinois. As a sousaphone performer, he was one of 48 sousaphone players who participated in the 1984 Olympics All-American Marching Band in Los Angeles, California. In addition to his band work, Brad is an active pit orchestra conductor and music director for musical theatre productions at high school, community, and collegiate levels, and he has also played piano in numerous pit orchestras. As a performer, he has appeared on stage in Stephen Sondheim’s Assassins, Side by Side by Sondheim, and Forever Plaid. He is a founding member of Puttin’ on the Bitz, a cabaret theatre company based in Corvallis, Oregon. Brad is happy to be returning to the East coast to be closer my family and friends, and honored to be taking the helm of a band with such a storied tradition.